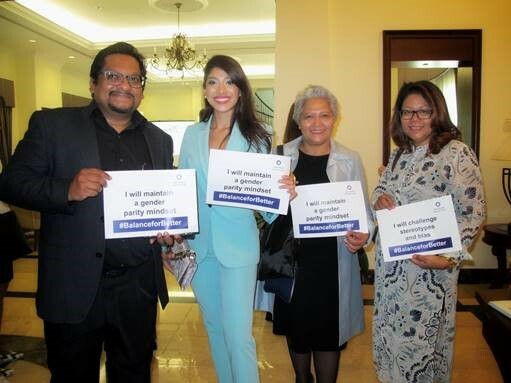 This year the ladies at Salt Singapore had the pleasure of attending an International Women’s Day event hosted by MASIS (Malaysian Association in Singapore) at the residence of the Malaysian High Commissioner. 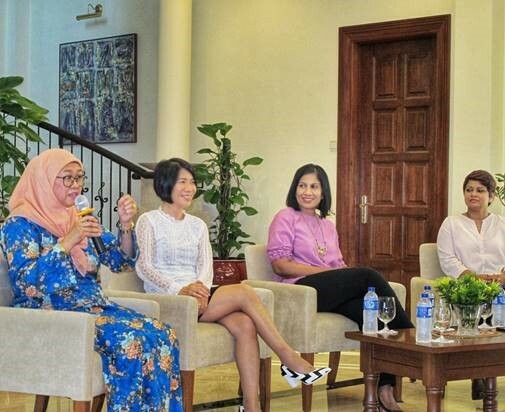 It was an insightful event on this year’s theme #Balanceforbetter with a panel discussion moderated by Lavinia Rajaram, Regional Head of Communications, Expedia and a panel of great women - Datin Fatimahwati Abdul Rahman, Spouse to High Commissioner of Malaysia to Singapore, Datuk Hoe Mee Ling, Divisional GM Singapore & Southern Division, Eco World Development Group Berhad (EW Berhad), Malini Sundaram, CFO Asia Cluster, CCFO Singapore, Novartis Pharmaceutical Asia Pacific Pte Ltd and Priyadarshini Thillainathan, Regional Senior Manager, Grab. The topics mainly centered on how women from distinctly different religious and cultural traditions explore balance in their lives. It was interesting to see how from a homemaker to a CFO – the common theme of achieving a balanced life begins at home! First, striving and achieving a balance with your partner is essential - a point I couldn’t agree more with as a working mother of an 8 month old. Careers don’t need to take a step back and can further be accelerated if you have a partnership and a supportive environment at home that allows for it. Topics also centred around inclusiveness at all levels in the organisation, how not only should women be encouraged top down, but how peer to peer support can be a game changer when it comes to enabling women to strive balance. A great example cited by the moderator – Lavinia was of the women in Expedia having a ‘Circle of Trust’ to discuss issues faced at work, and how the other women can come together in helping each other facing issues at work. 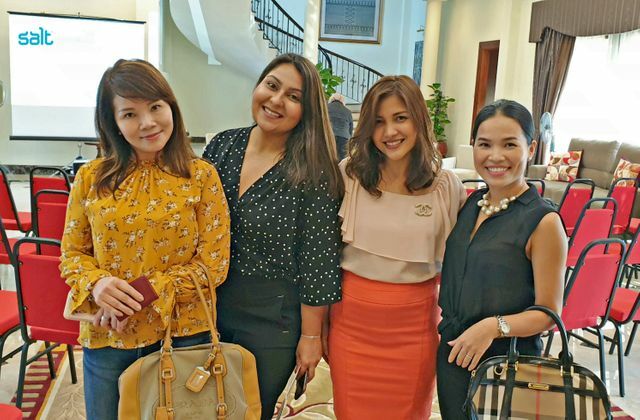 Having a safe environment to discuss issues at work is great, what was even better of this example was that the men at Expedia started having their own Circle of Trust, to discuss amongst themselves – how they can help their female colleagues at work. What this goes to show is that the awareness of the issues, discussing these issues and acting upon it is a step in the right direction for both genders, something many organisations should follow. Everyone has a part to play - all the time, everywhere. The future looks bright and exciting, we are entering an exciting period of history where the world expects balance. We notice its absence and celebrate its presence. As a female leader of my company, I am now inspired to use this approach to help my fellow female colleagues find their voice and make my male colleagues aware of issues to help their peers and partners. It has also strengthened my belief in the organisation I chose to work for, as balance was one of the key things they believe in and my equal workforce is a testament to that. Let's all help create a #BalanceforBetter.